Fortessa Garnet Ring shows elegance and strength. This design features a stunning 6.85 carat rhodolite garnet cut by lapidary Stephen Avery, accented by .25 carats total weight of F/G VS diamonds, set in two tones of gold. To purchase, call us at (949) 715-0953 or use our contact form below. 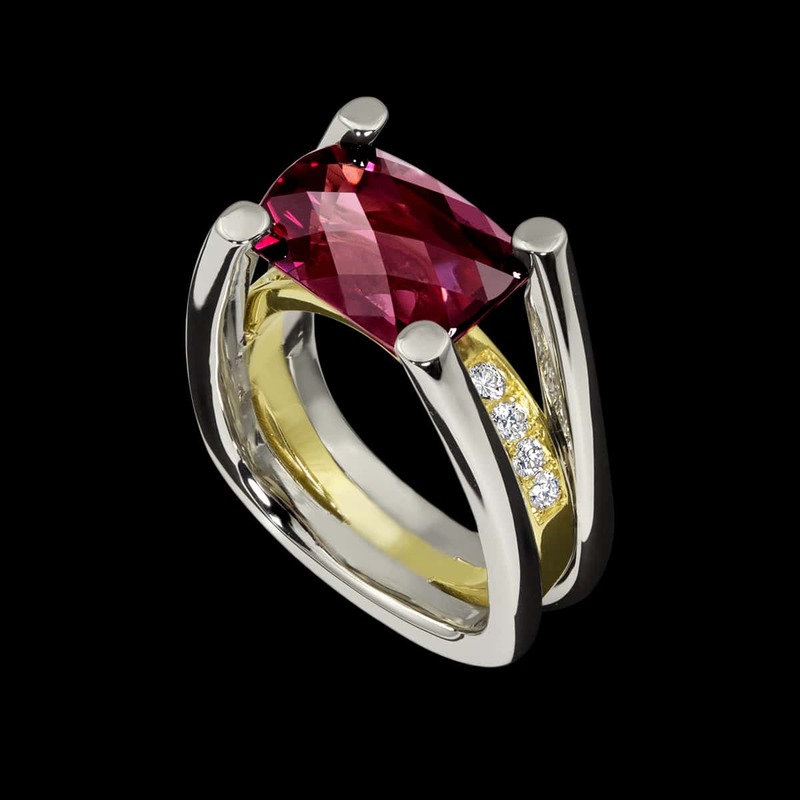 Stephen Avery is the lapidary artist responsible for this brilliant gemstone cut. His distinctive and innovative cutting style is an inspiration to Adam and gemstone lovers everywhere. Learn more about Avery on our blog.